Our Adult program provides high quality training for adult movers of all abilities in a variety of classic and experimental styles. Moving Target Portland is our Sunday Master Class series featuring a new teaching artist every week. Take advantage of these opportunities to build community, gather seeds for new work, and enjoy dancing together! Former Studio 408 owner/teacher and Ram Island Dance company member. With 40 years of teaching dance under her belt, Betsy Dunphy shares her talents in Adult Tap on Wednesdays! makes, curates, and teaches experimental dance in Portland and is the Artistic Director of the Denmark Arts Center in Denmark, Maine. After attending summer camp in the woods of Maine, studying dance at Marlboro College and Bates Dance Festival, she teamed up with Delaney McDonough to form Hio Ridge Dance and strengthen performance in Maine. collaborates with experimental noise/sound artist ID M Theftable to create live, improvised performance. She has studied Improvisation intensively for the past ten years, most recently at Earthdance and Bates Dance Festival, and she holds an MFA from Vermont College in Poetry Writing. Her class will explore improvisation strategies for performance using a wide variety of somatic techniques and compositional scores for solo, partner, and ensemble dancing. 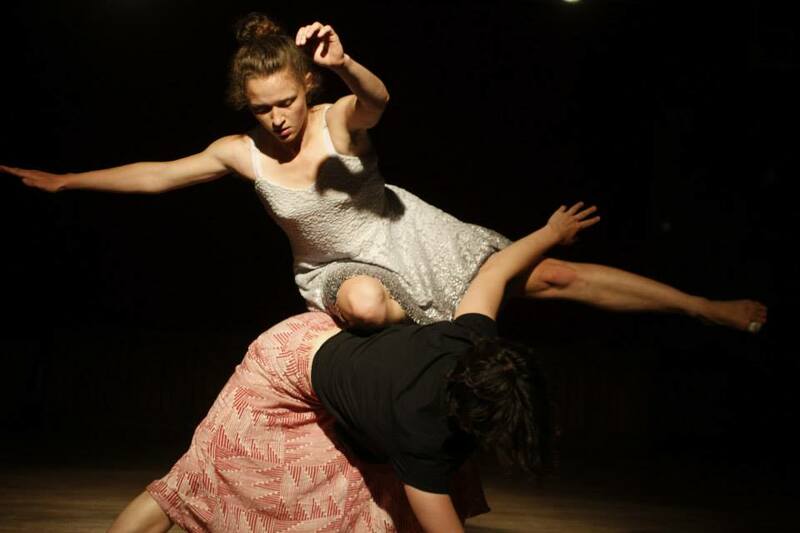 While the focus of this class is on composition there is often time dedicated to Contact Improvisation and open dancing. Moving Target Portland classes are led by the visiting guest artists listed below. Classes will often include improvisational, somatic, and post-modern practices, and sometimes choreography. Intended to be challenging for professional and aspiring dance artists, all levels of dancers are welcome and encouraged to attend. A sister program to Moving Target Boston, Moving Target Portland has an archive of classes that can be viewed here. Sep 25 — Istijmam, Algerian Experimental Theater Co.
Nov 6 — CHOREOLAB- Two plus hours of showing and discussing work followed by a discussion about continuing to build a more connected local dance and performance community. Feel free to come and be part of the event even if you're not showing work. Choreolab is FREE and open to anyone who self-identifies as a dance and/or performance artist, so feel free to invite other dancers/performers. RSVP to studio408portland@gmail.com and let us know if you would like to show work!